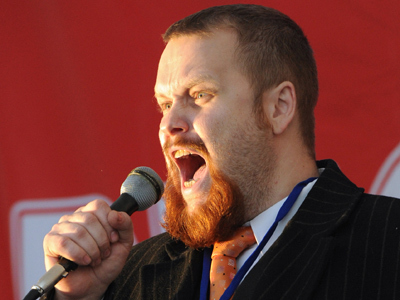 The leader of the Russian Nationalists, Dmitry Demushkin, may run for the post of mayor in the country’s westernmost territory, the exclave of Kaliningrad. 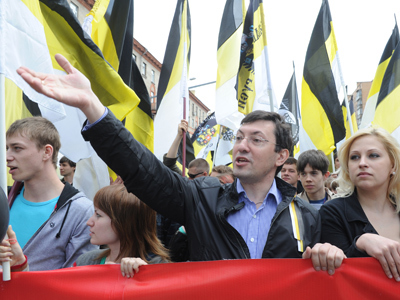 His candidature was nominated by a group of activists uniting Kaliningrad’s nationalists, democrats and Party of Regionalists members. 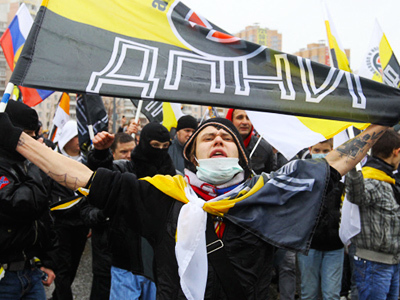 “There are no officially registered organizations in our group, since nationalist parties are only overcoming the stage of party creation and so far, no such parties have been registered in the region,” the coordinator of the group, Dmitry Karpovich told Interfax. He added that Demushkin had already given his prior consent and would soon arrive in Kaliningrad to submit documents to the election commission personally. “After his official registration as a candidate, we will start collecting signatures [in his support],” Karpovich said. “I believe that our candidate has a good chance of success,” the lawyer observed, adding that the number of supporters of nationalistic movements is growing. Demushkin, 33, who leads Russkiye (Russians) “ethnic-political movement”, confirmed to the agency that he is considering running for the Kaliningrad mayoral post. However, he will make a final decision after discussions with his party’s political council. The mayoral elections are scheduled for October 14. 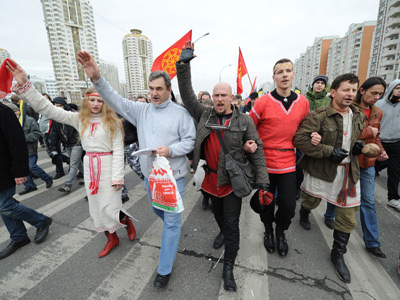 Demushkin is also one of the co-founders of the recently registered Party of Nationalists and one of the chief organizers of the so-called Russian March – a rally held by nationalists to show their negative attitude to migrants, primarily of non-Slavic origins. 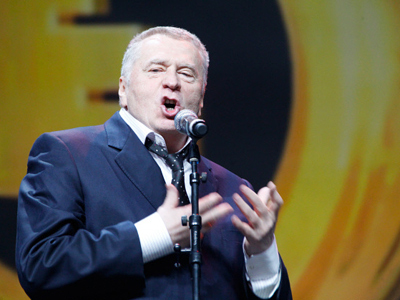 The politician once led the ultra-right wing group Slavic Union, which was banned as extremist by Russia’s Supreme Court in 2010.